One of the great living storytellers, Neil Gaiman is the celebrated author of books, graphic novels, short stories and nonfiction for readers of all ages, including The Sandman comic book series, "Stardust," "American Gods" and "Coraline." He has won both the Newbery and Carnegie medals. Described by The Guardian as "a thesaurus of myth," his latest book Norse Mythology is a suspenseful and dazzling retelling of Norse myths. Gaiman will tell and read stories, and nswer questions. 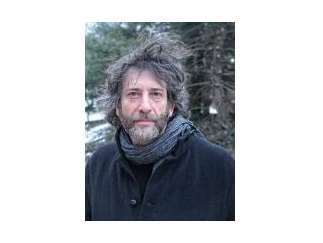 He promises an evening "not like any other evening with Neil Gaiman."